Having a proper cooling tower water treatment program in place is essential for all commercial properties. Typically, a commercial air conditioning system will circulate water to remove heat from refrigerant, enabling the system to provide cool air. 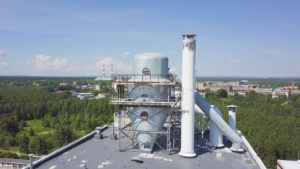 However, because the water is constantly changing due to evaporation loss, minerals can accumulate, resulting in scale, corrosion, and blockages in the system’s heat exchangers and piping. This is especially true of facilities in the Tampa Bay area, where the water supply is rife with impurities and a high strain is placed on AC systems throughout the year. Without treatment, it is only a matter of time before the AC system stops working properly. 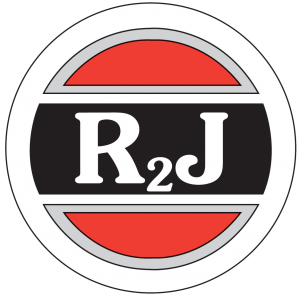 R2J has been providing water treatment for cooling systems since 1982, giving us an unrivaled level of experience. In fact, we are the preferred water treatment company for EVAPCO – one of the largest manufacturers of cooling towers for commercial properties across the globe – which speaks to our reliability and expertise. Whether your AC system isn’t working properly or you’d simply like to take preventive measures, R2J will provide an effective solution that accounts for the local water supply and is tailored to your specific equipment. This will prevent mineral accumulation, minimize corrosion, and prevent Legionella bacteria growth, all while ensuring your AC system maintains optimal efficiency. What’s more, you can expect R2J to handle every aspect of your cooling tower water treatment. Our Certified Water Technologies (CWTs) will develop a tailored treatment process that may include physically cleaning your cooling tower, applying water softeners, providing ongoing maintenance solutions, and more. Contact us today to learn more about the benefits of trusting the cooling tower water treatment in your Tampa Bay area facility to R2J.